The growth in e-commerce sales in the last few years is driving much of the change across the warehousing and logistics industry. Automating processes using new technologies underlies most of the trends in the supply chain including warehouse management, materials handling, supply chain visibility, and delivery solutions. 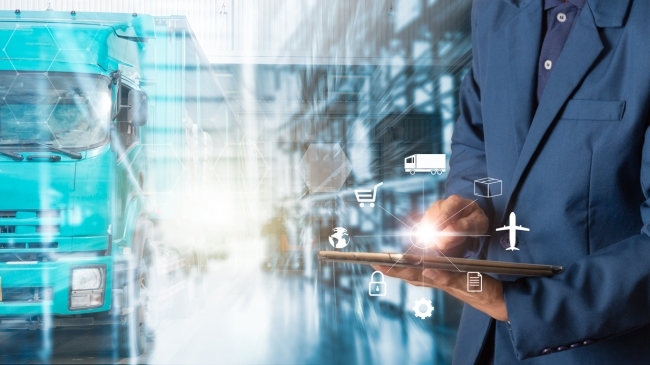 More companies are finding it necessary to invest heavily in the latest logistics technologies to keep up with changing buying behaviours and customer demands. The Supply Chain Consulting Group explores some of the areas to watch. The increasing adoption of advanced warehouse and inventory management systems continues. Warehouses and DCs need to work faster, smarter, and with fewer people. Today’s WMS solutions are well equipped to take on some of the key challenges associated with e-commerce fulfilment such as smaller order sizes. AR is technology that superimposes an image on a user’s view of the world to create a single image. For example, the Converse Sampler iPhone App uses AR to allow shoppers to virtually try on any trainer from their range, simply by pointing their phone at their leg. VR is a computer-generated simulation of a 3D image or an environment to immerse the users into a completely new and different world. In aviation, medicine, and the military, VR training is an alternative to live training with expensive equipment, dangerous situations, or sensitive technology. VR is changing the way that consumers shop for products, with more and more consumer journeys starting with an image or a photograph. There is still scope for “tried and tested” fulfilment systems that have not yet been fully explored or implemented. Manual tracking of inventory is time-consuming, inefficient and therefore expensive. Inventory management systems that collect and analyse data provide insights into consumer buying patterns. Nordstrom and Walmart are using this technology extensively. The use of mobile robots is high on the list of innovations due to the fact that picking and packing are labour intensive activities. The technology seems not to have advanced to the point where robots are able to pick orders from conventional racking but it will happen. Integration of legacy systems with small-screen mobile devices is a noticeable trend where companies are aiming to automate the process at every possible touch point. Tracking and monitoring systems increase transparency and visibility and promote integrity throughout the supply chain. Procurement is becoming more dynamic and intelligent due to software solutions helping with spend analysis and contract management. Suppliers, manufacturers, and retailers need to work together on a shared platform with their logistics companies, using complementary policies and procedures, to establish live visibility. Live visibility helps us to understand the “last mile” better so that reactions can be better and customers can be served faster. Blockchain—the distributed ledger technology behind the digital asset and payment system Bitcoin – is being mooted as the next big thing for supply chains. But how can this fledgeling technology be used to benefit logistics and the supply wider chain? The answer lies in its potential to speed up administrative order and payment processes and to take costs out of the system while still guaranteeing the security of transactions. • Inventory sharing is not always seamless. It may require new planning processes and channel-specific packaging. • Some synergies come easy, others are difficult. Demand peaks may vary between channels. • Competing priorities have to be reconciled emphasizing the importance of flow management. • It is more than alignment around a common set of KPIs. Expectations and incentives have to be aligned to strategy. Do not underestimate investment in systems (time and money) required. Implementation always takes longer than anticipated.